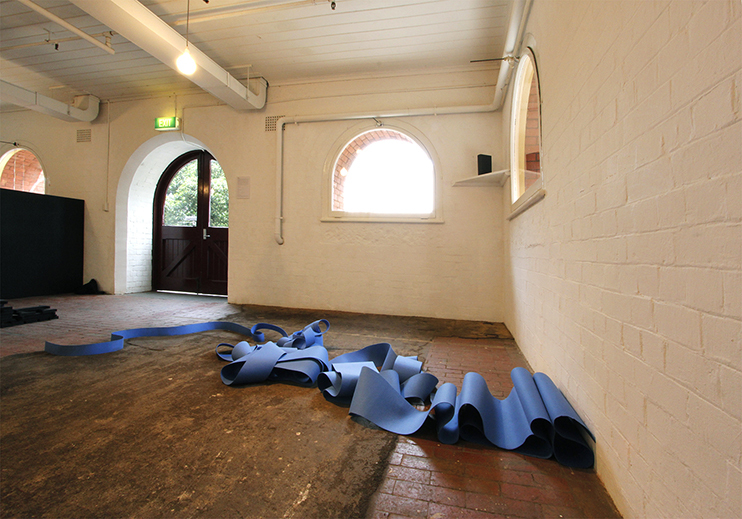 29 Aug -16 Sept 2012. c3 Contemporary Art Space, Abbotsford. BLACK LINE FALL is the first manifestation in a series of exhibitions to explore aspects of scale, as a physical and emotional entity. It is in part a response to the creative process of working with ideas, materials, references, site, documentation, and how shifts and spaces emerge throughout this trajectory. 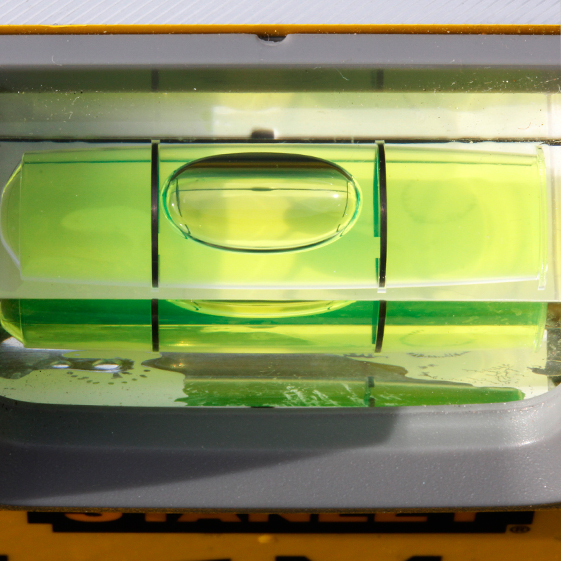 Within a creative process from idea to a physical outcome, there are slippages, spaces and holes. In its fundamental form these spaces also provide opportunities for divergence. 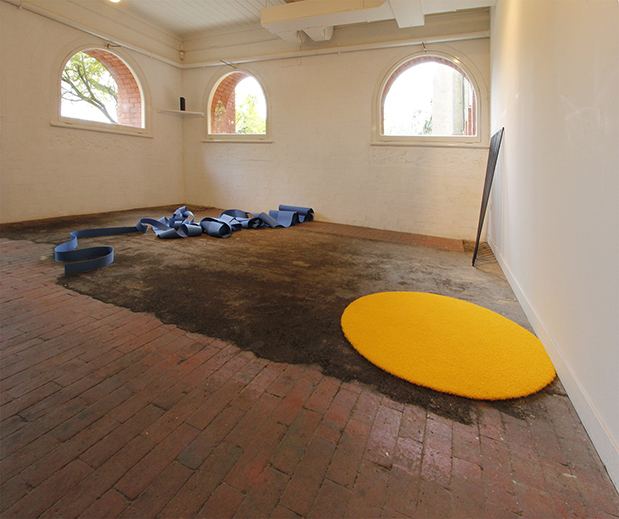 The resulting objects become an apparent link back to this formative process of making. 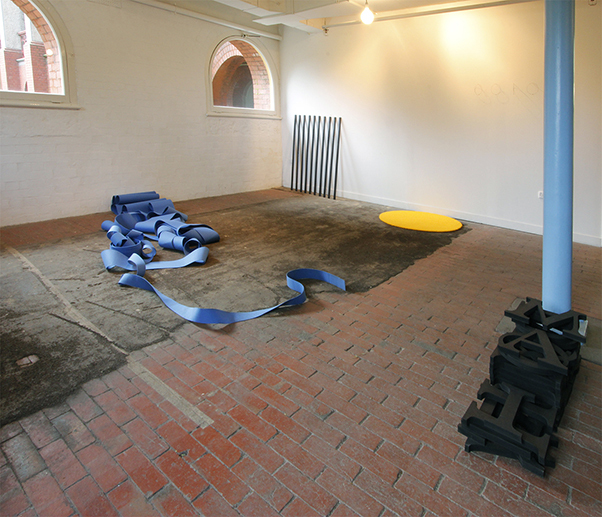 Spaces emerge between ideas, the installed objects and subsequent meaning and interpretations. Like a series of rhizomes that are connected at a sub surface level, the objects are tangibly linked. 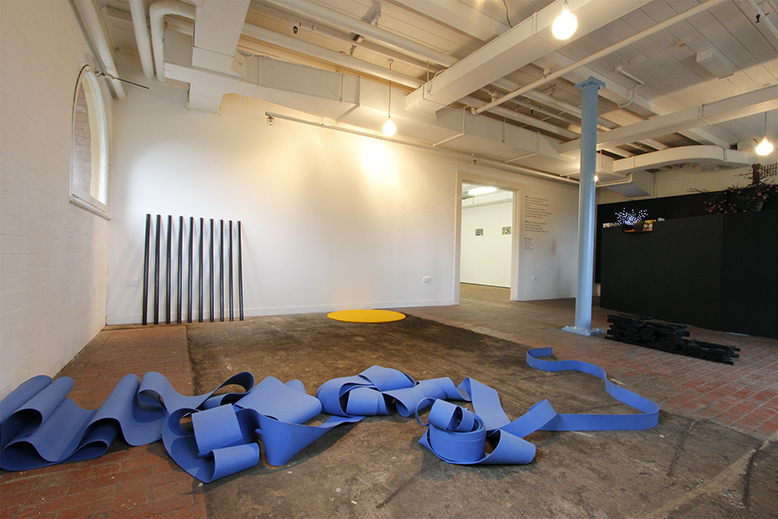 The viewer observes, locates and navigates each object as part of the terrain. For this site, BLACK LINE FALL utilizes essential elements for landscape design and construction: sun, water, growing medium and scale. The perceived absent elements are vegetation. Externally presented and viewed through the windows, they present vistas of soft and hard landscaping materials that provide points of connection. 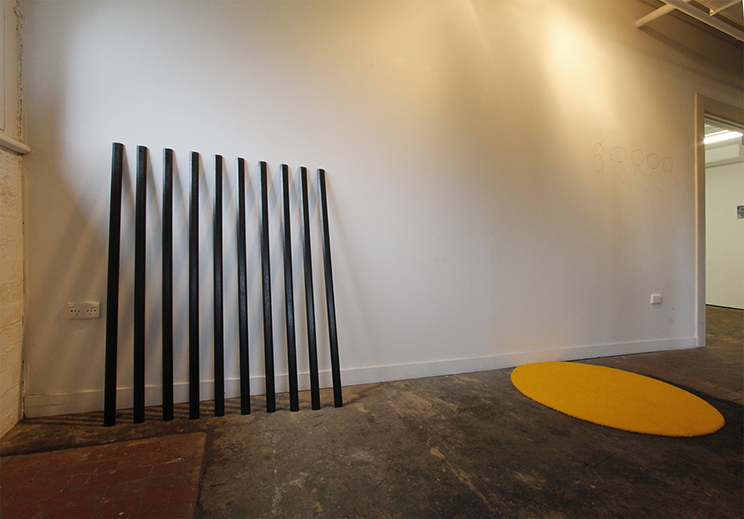 The title of the exhibition refers to a spirit level, when the central bubble touches one of the parallel black lines; this inclination results in a 1:100 ratio fall. 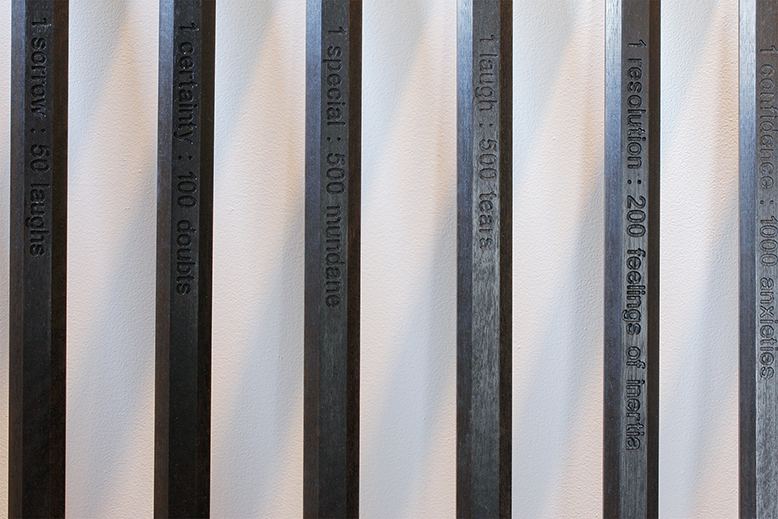 The rulers link calibration with emotional response, these are scales of an internal landscape. The questioning of an individual’s own sense of scale and bearings, and if it is slipping or falling, as it often does at times in one’s life. To lose one’s sense of scale is one thing, but to lose one’s sense of perspective, is quite another.